Industry broadcasting behemoths have welcomed news of OzTAM and Nielsen’s new integrated database aimed at providing a more complete picture of TV viewing in Australia. 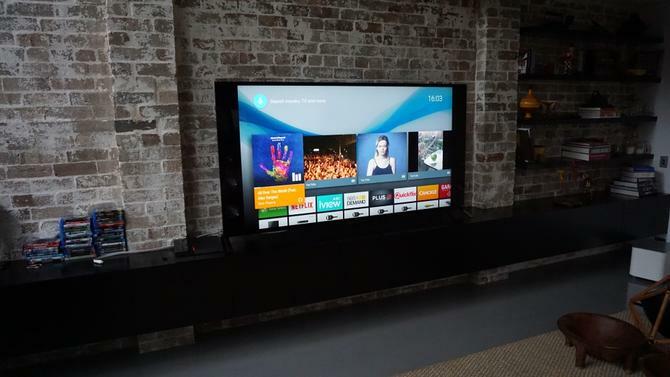 The new Virtual Australia (VOZ) database is being positioned as the country’s first combined linear and online TV database, integrating both traditional TV set and connected device viewing data into one cloud-based database for improving audience insights and targeting. Specifically, it’s combining OzTAM TV ratings and Video Player Measurement (VPM) connected device viewing data together, insights that cover 7 million connected devices, actual viewing behaviour across more than 12,000 individuals in panel homes, and streaming TV meter data from 1300 TAM panel homes. On top of this, the new metric will include population information from more than 50,000 survey questionnaire responses per year for TAM services, plus Australian bureau of Statistics population data. VOZ has been 18 months in the making and will be rolled out from Q1, 2019. The new measurement has been developed by OzTAM in partnership with Nielsen. With VOZ, the two companies said advertisers and media agencies will be able to create media plans encompassing TV inventory across all broadcast channels and devices, manage cross-screen campaigns, and overlay supplementary datasets on top of VOZ to further advance audience targeting. For example, anonymous profile data can be used to buy advertising on demographics, interests and needs. In order to rollout the new metric, OzTAM said it increased its TV ratings panel by 50 per cent last year, and installed streaming TV meters in 1300 panel homes. It’s also extended out the VPM service, which covers ABC, Seven, Nine, Ten, SBS and Foxtel channels, and plans to introduce demographics into the VPM reports by the end of the year. Speaking on behalf of Nielsen, head of TV audience measurement, David Ellem, described the new metric as the next significant stage in TV audience insights delivery. “Delivering VOZ will enable this market to better understand audience targets across and between all devices, as well as provide the opportunity for advanced audience targeting for TV,” he said. Broadcasters as well as industry commentators welcomed VOZ’s arrival. Foxtel chief executive, Patrick Delany, said the new metric was the “next big step in TV’s evolution as the ultimate marketing medium”, while Seven West Media CEO, Tim Worner, said VOZ would help close the gap on understanding the true amount of TV being watched. WPP A/NZ chief data scientist, Rob Pardini, also saw VOZ as a significant step in the right direction, although he claimed it didn't go far enough to reflect the wider multimedia content space. "De-duplicated audience reach and frequency across broadcast and online streaming is sorely needed, and VOZ will deliver this for content and advertising through participating broadcasters," he told CMO. "But from an advertiser and agency point of view, VOZ doesn't go far enough and is not a silver bullet. It will only provide viewership figures on content and advertising through participating VOZ broadcasters. YouTube, Facebook and other streaming environments are already used heavily to boost the reach and frequency of TV advertising campaigns, and the industry needs audience de-duplication that goes beyond broadcast and catch-up TV." The pro is the ability to integrate data sets for behavioural targeting, and Pardini expected this attract some advertiser funds from 'hyper-targeted' environments. Over time, however, there is some risk that VOZ will cheapen the perceived value of advertising during peak times of 6pm to 10:30pm. "Once catch-up is reflected in reach and frequency figures, focus will shift from the program-timeslot to the de-duplicated audience delivered, irrespective of when the viewing appointment occurs," he added. Likewise, Ikon national head of investment, Pia Coyle, believed VOZ was the most significant thing to happen to Australian audience measurement since OzTAM's inception, opening up long debated information on just how much people are changing their viewing habits. Yet she also expressed some concerns about scale and coverage. "VOZ is a significant advancement from the theoretical cross device models commonly being used and helps agencies avoid the need for stitching together competing data sets. Agencies and clients have been waiting for this information for years, so let’s hope it goes far enough in terms of cross-device measurement to allow us to be transformational in our recommendations to clients," Coyle said. "Understanding the missing pieces of the content consumption of Australians will mean being able to move forward on our screens strategy with real confidence – no more second guessing. "It’s not fool proof though, as the demographics from the video side of the consumption pie are being partially built from inferred behaviour [device and program patterns]. This won’t have traditional digital buyers singing VOZ’s praises, however panel information is the TV industry's standard." Coyle also pointed out OzTAM and Nielson have not accessed individual networks’ login information to contribute to building the demographic segments. "Considering there are millions (Network 9 has over 5 million logged in users alone) this appears to be a significant con at this point in time, as it would provide the device level scale required for addressable advertising, which is the industries next big challenge. It would also surely remove the need to infer demographic information from mobile devices," she commented. On a positive note, as advertisers increasingly move away from demographics to more meaningful targeting segments, such as purchase behaviour, Coyle found it promising VOZ supports third-party data integration. "However, there will need to be significant scale added to the panel in order for these purchase level segments to be applied, and the timing of this is currently unclear. Oztam and Nielson will need to move quickly to ensure this advancement doesn’t become redundant or watered down as soon as it’s launched," she said. CEO of the TV industry development and research body ThinkTV, Kim Portrate, praised the introduction of more advanced audience targeting through more data-driven insight. “It is wonderful to see that the industry will have access to OzTAM and Nielsen’s VOZ integrated database, which combines all broadcast assets across all platforms, supporting cross-screen campaigns and overall reach goals and enabling advanced audience targeting,” she said. GroupM chief of investment, Nicola Lewis, also saw collaboration between broadcasters as a positive move and noted the hard work that has gone into making such progress. "We know that measurement has to evolve and we see the ability to measure total broadcast reach across multiple devices as an advantage. As measurement across a complex media landscape continues to improve, the next iteration will be to consider how we get to measuring all online video and providing a single view and true cross-platform measurement on the understanding that not all online video is created equal," she commented. Agreeing again it's a big step forward, Publicis Media Exchange managing director, Sarah Keith, nevertheless also pointed out there's still the question of 'non-monetisable' eyeballs on VOD services as well as the significant numbers for YouTube and Facebook's short form content. "Assuming that you are viewing YouTube on your connected TV, this will be measured but will it be available? A full picture is our ultimate goal," she said. "Still, this is a positive step and one the industry has been waiting for."